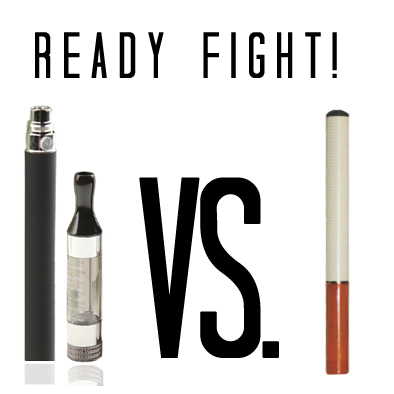 Vaporizer Pens Versus Electronic Cigarettes: Which is Better? The term ‘E-cigarette’ is typically used as an umbrella term for any type of vaporizer device that uses a special nicotine liquid called e juice or e liquid. 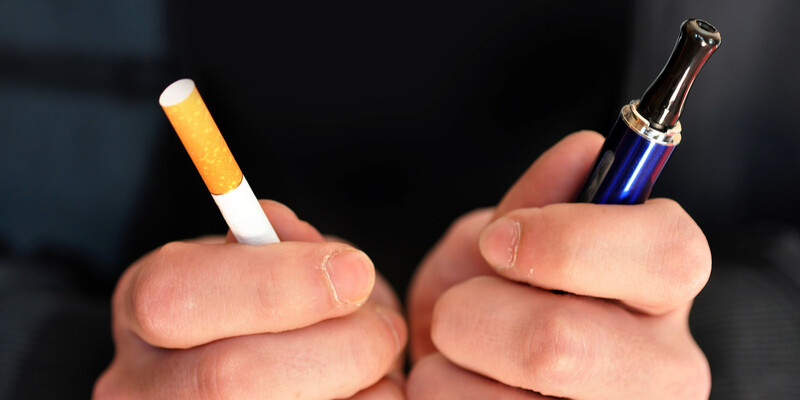 Many people who first hear about vaping as an alternative to traditional tobacco cigarettes are first introduced to a certain type of electronic cigarettes – the small “cig-a-like” devices, or e-cigs, that resemble real cigarettes. People usually see the e-cigs being advertised on TV or run across them at a local convenient store and think – “Great, I’m gonna try this whole e-cig / vaping thing,” and they decide to make the switch from analog cigarettes to e-cigs, because of the convenience and social acceptance associated with vaping in general, compared to smoking cigarettes. The vape pen and Vape Pen Mods are quickly taking center stage for what people are looking for in their vaping needs. They offer everything you would need for an everyday personal vaporizer. It is portable enough to bring on the go and use discretely, yet powerful enough to get plenty of vapor production all day long. There is plenty of vapor that gets produced through the heating element, because the battery is more powerful. The whole device is designed to be more powerful in every way, shape and form, compared to the e-cigs that you typically see in convenient stores. Vape Pens also produce vapor that taste much better, and you have a much wider selection of flavorscompared to the e-cig electronic cigarettes. Imagine being able to pick the flavor that is right for your taste-buds? What a concept. The best part about vape pens, that users praise over and over, is the long battery life, refillable cartridges, and the long term cost savings they get with vaping. It’s no wonder why the word is spreading about how great vape pens are! It’s because the users that know about vaping want to spread the message about vape pens and vape mods because of the passion they develop for vaping after trying these vape devices. Many users often proclaim that it saved them from the horrible taste, smell and other negative affects of smoking cigarettes, and that they would never go back to smoking cigarettes ever again! Other people however, unfortunately tried the e-cig devices, didn’t like them because of lackluster functionality, and decide vaping wasn’t for them. Too bad they didn’t have a friend in the know, to nudge them towards vape pens! It’s a shame because all it would have taken them was a puff of a good vape pen to convert them into life long vapers! This intense passion that vapers possess creates a ripple effect and has turned the vaping community into a huge thriving community, as we have seen blossom in a short period of time. Did we mention each starter kit also comes with free premium USA made ejuice! There aren’t too many disadvantages to vape pens. The only con (which it depends on the user and perception of what is a pro or a con), is that it is not as small as a cigarette. They are about the size of a fountain pen, and maybe a little thicker – hence the name vape pen. Another benefit of an ecigarette is that it looks like a cigarette. This may or may not be important to you, but for some, they may like that it closely resembles a cigarette. Vaping with any device beats regular cigarettes every time, even it is an ecig ecigarette. The horrible reality is that many users get turned off to vaping because they are first introduced to ecig. They are just not practical for heavy use and the e-cigs typically give a small amount of vapor, which the user finds unsatisfying compared to cigarettes. Because of the lack of vapor, the user may feel deprived of nicotine with it. They also don’t usually taste that good and the user may be annoyed at having to continually change nicotine cartridges. And finally, one of the biggest headaches with e-cigs, is the horrible battery life. To make an e-cig practical, you would really have to have lots and lots of batteries or continually recharge them throughout the day, especially if you are already a heavy smoker and need to vape all day. Thats why the vape pens have caught on so quickly, is because they are just better performing vaporizer devices for e juice. This is the reason why someone in the vaping know, will tell you to go for a vape pen.